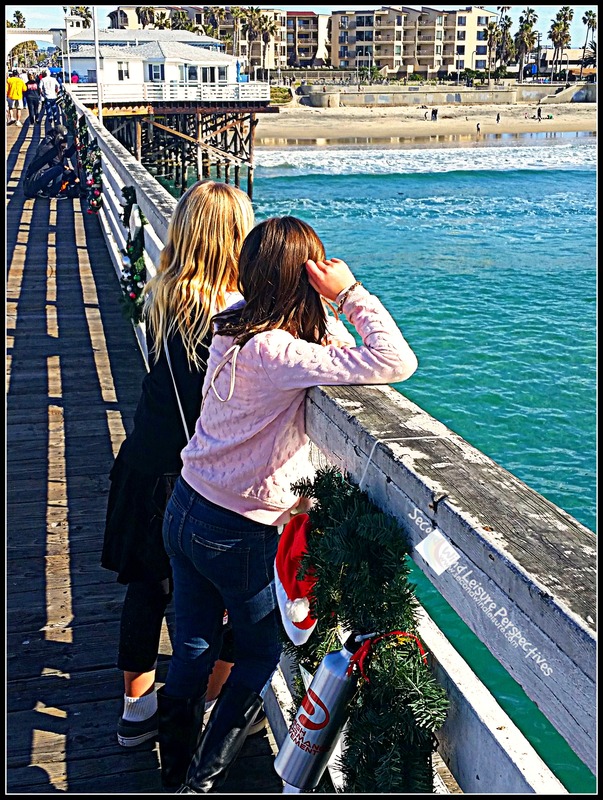 Last year, while visiting family in San Diego during Christmas week, I snapped this photo of my nieces contemplating with Anticipation the coming of Santa on Christmas Eve. We took a leisurely stroll on Crystal Pier in Pacific Beach to get out of the house and watch the surfers. And don’t be jealous of this Southern California sunshine! It can get cold! It was a whopping 50 degrees that day! You, too, can participate in the WordPress Weekly Photo Challenge! Great pic! Bless their hearts- I’m grown and I still can’t wait for presents! Thanks so much, Debby! Going to be cold in San Diego too! I was wondering when someone was going to post those lyrics. It’s 19 here but feels like 9, snowing, and a high of 0 predicted for tomorrow (pre-windchil and a low of – 16), up from -5 predicted a few days ago. 50 sounds like the tropics. But I know California can get cold, too. Here in Sacramento where I live, it will be 29 tonight! I actually have to get a pedicure when I visit San Diego in the winter, in case I have to don my flip flops! Your cold weather sounds…COLD!!!! It’s a bit nippy, Terri. Ok, that’s San Diego. I now live in the cold north of Sacramento, where it will be 29 tonight! Brrr! OK, misery loves company. I forgive you. Pingback: Anticipation: Ducks | What's (in) the picture?